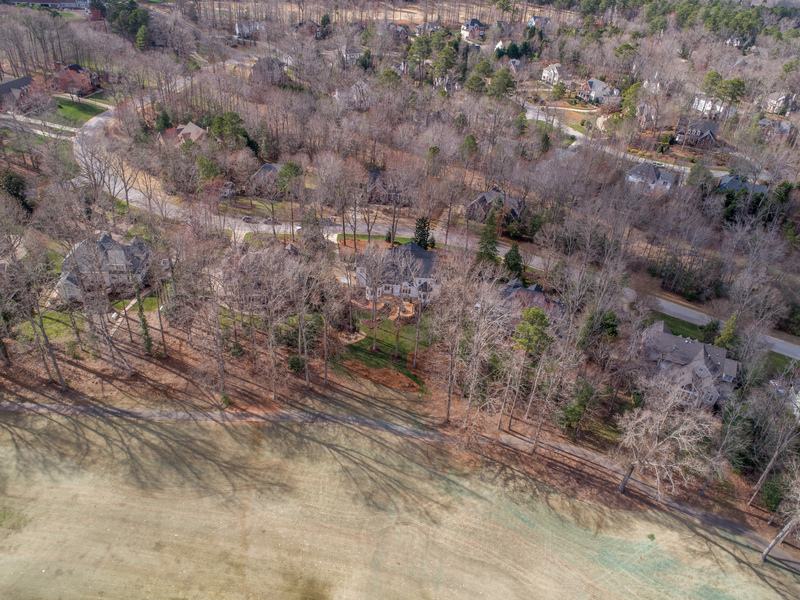 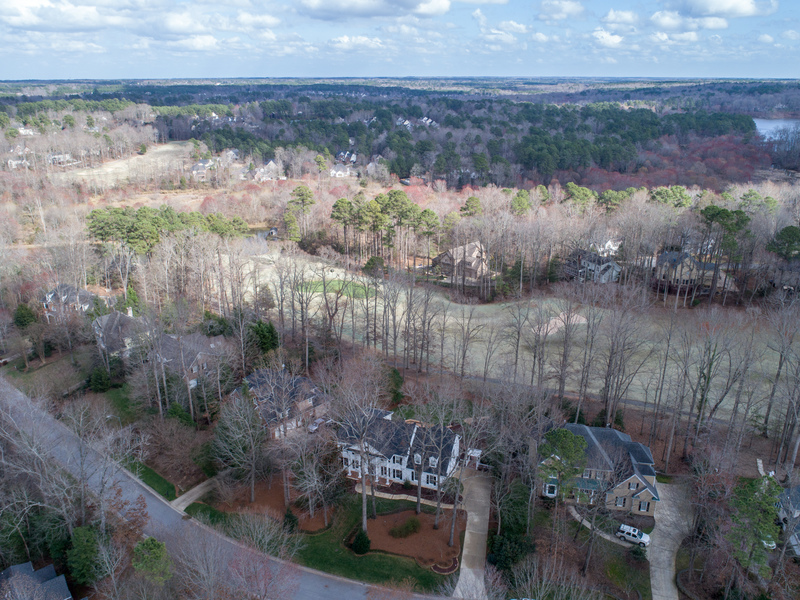 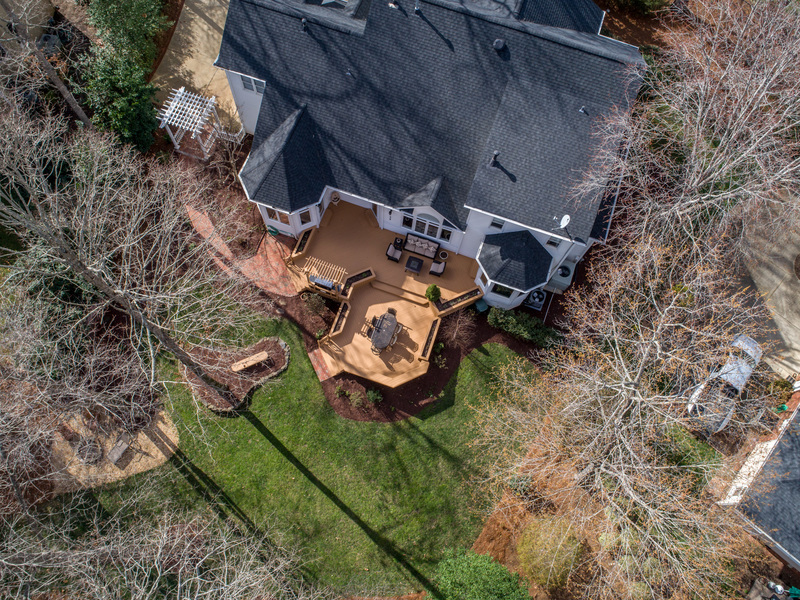 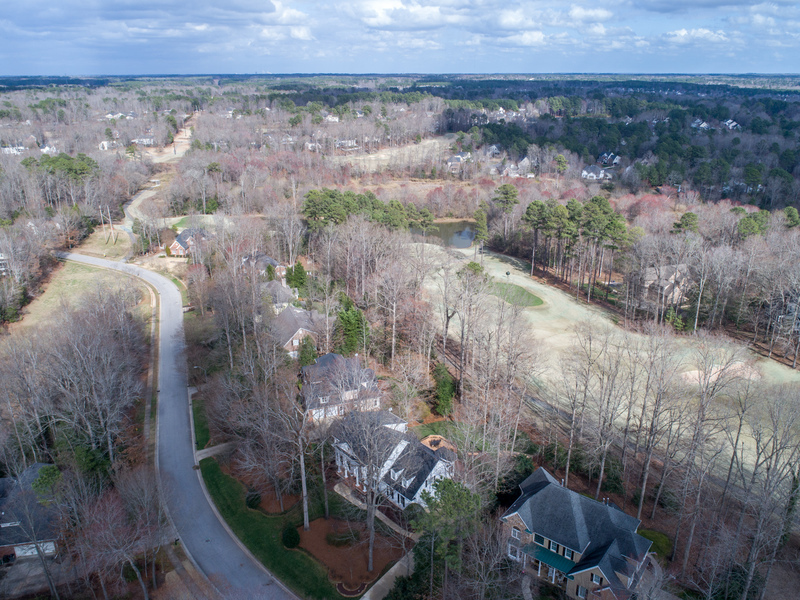 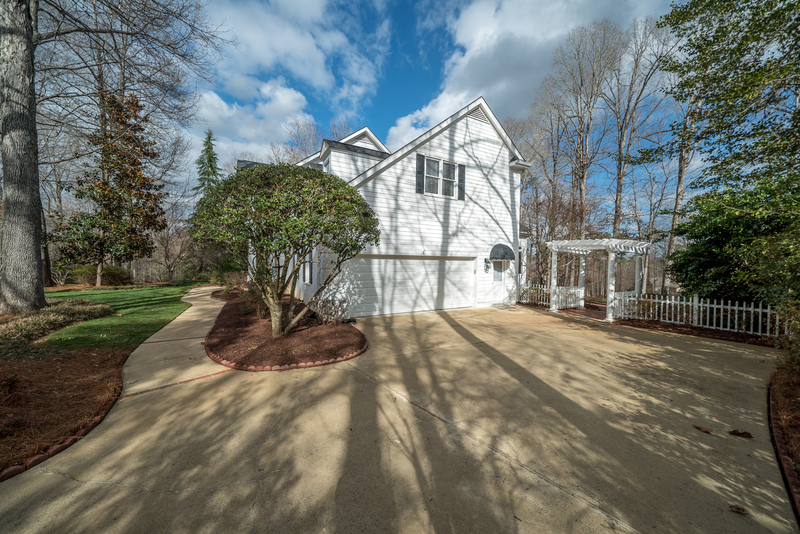 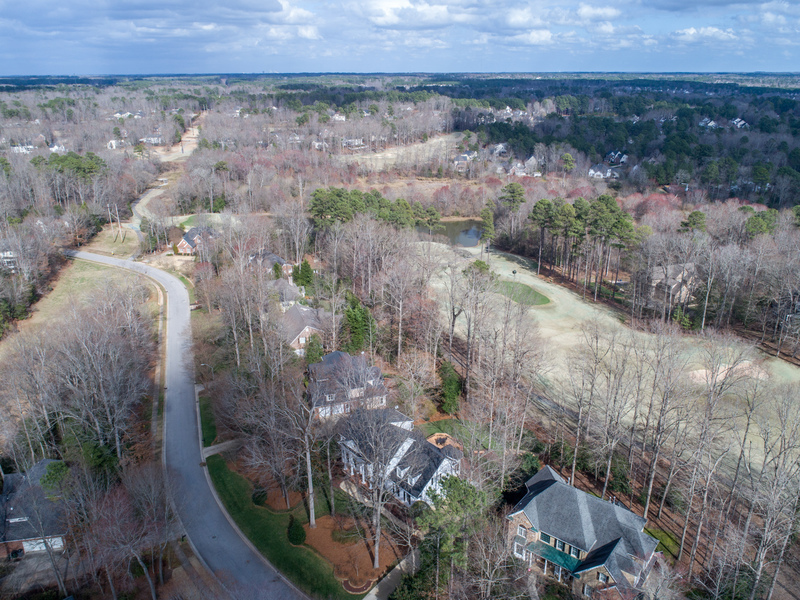 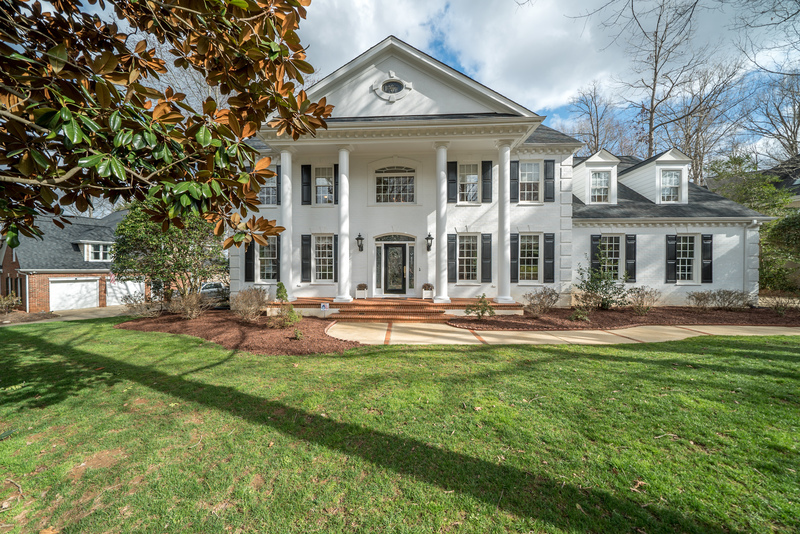 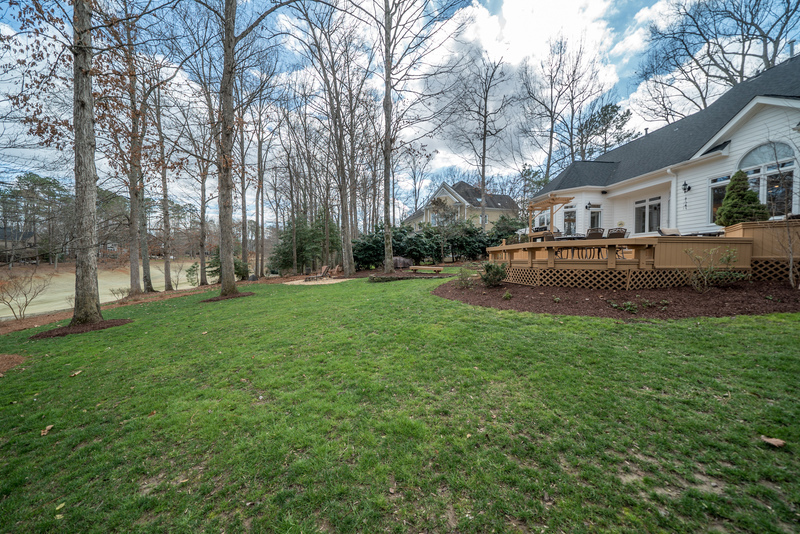 4824 Sunset Forest Circle in Holly Springs is a 4 bedroom + Sunroom + Bonus, 3.5 Bath home in the desirable Sunset Ridge neighborhood. 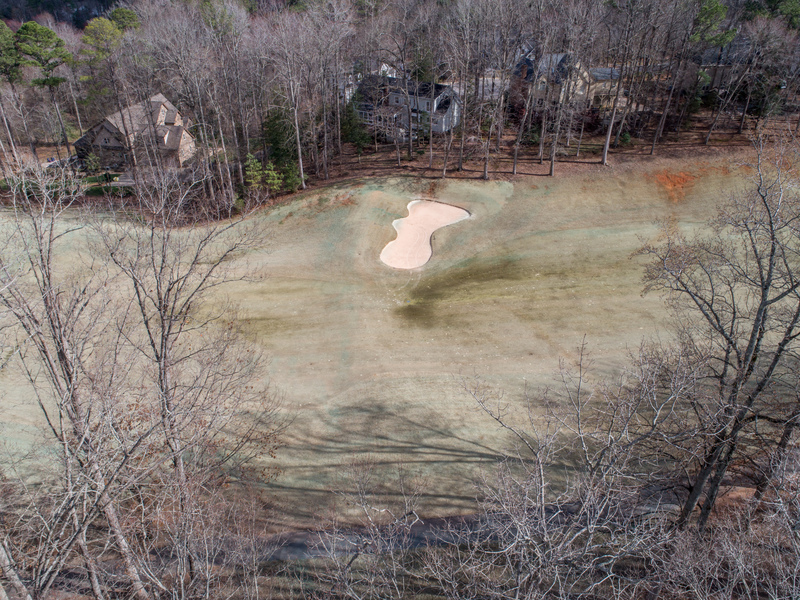 You will LOVE the amazing golf course views overlooking the 11th hole at Devils Ridge Golf Course. 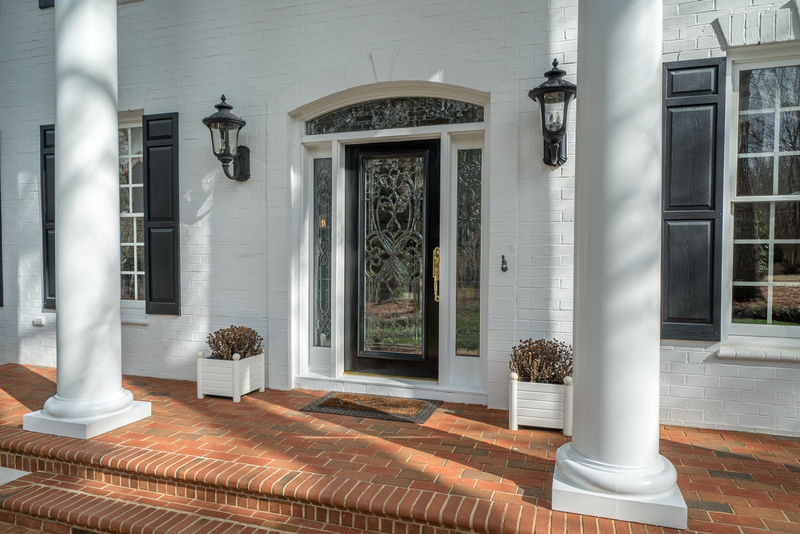 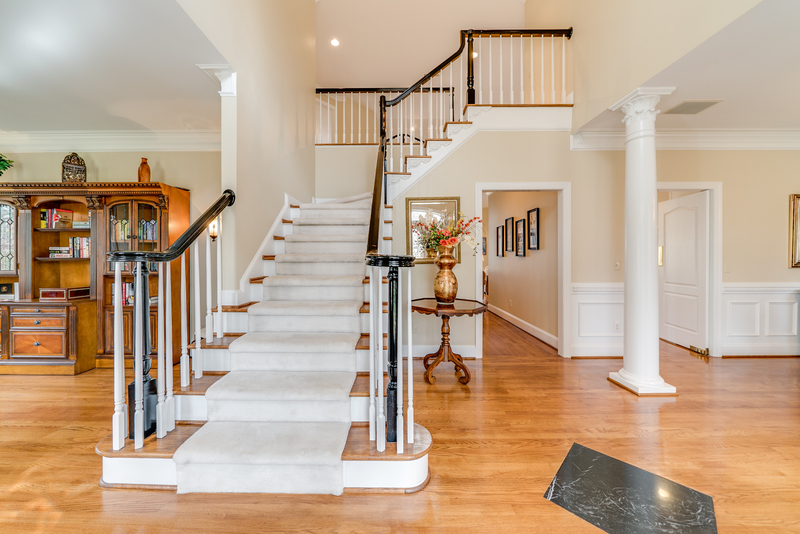 You will walk through the front door and say WOW! 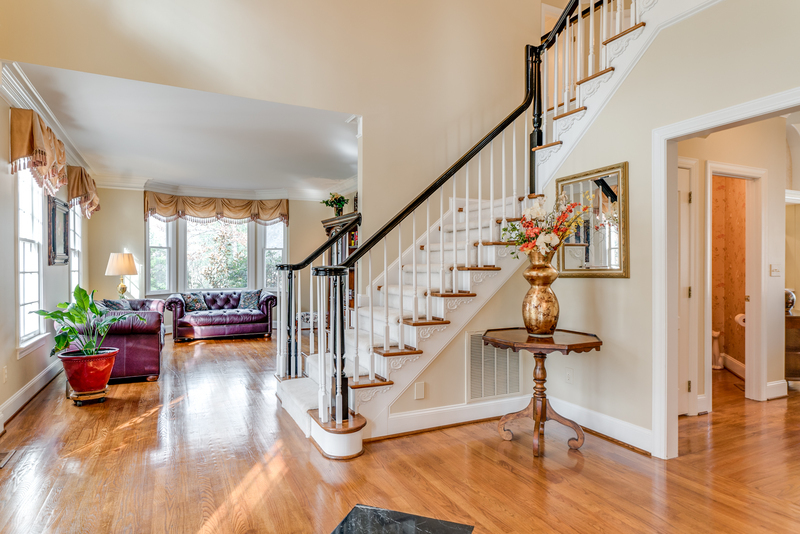 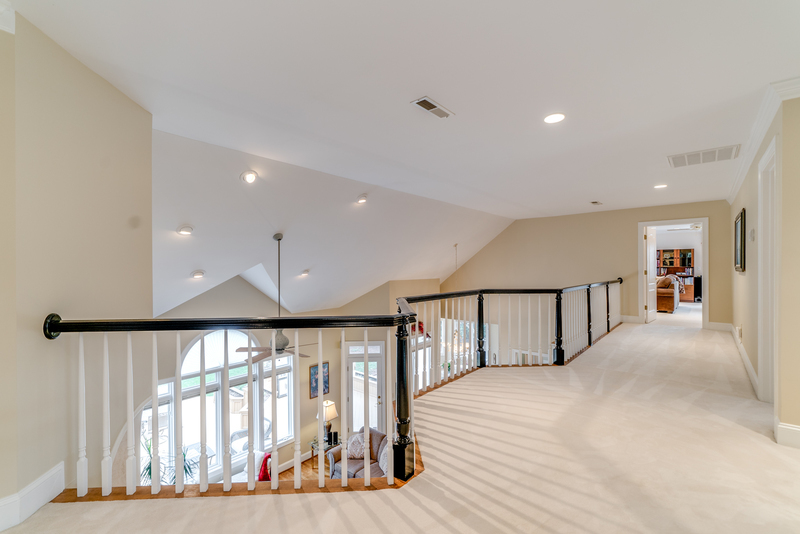 The beautiful 2 story foyer is perfect for welcoming guests. 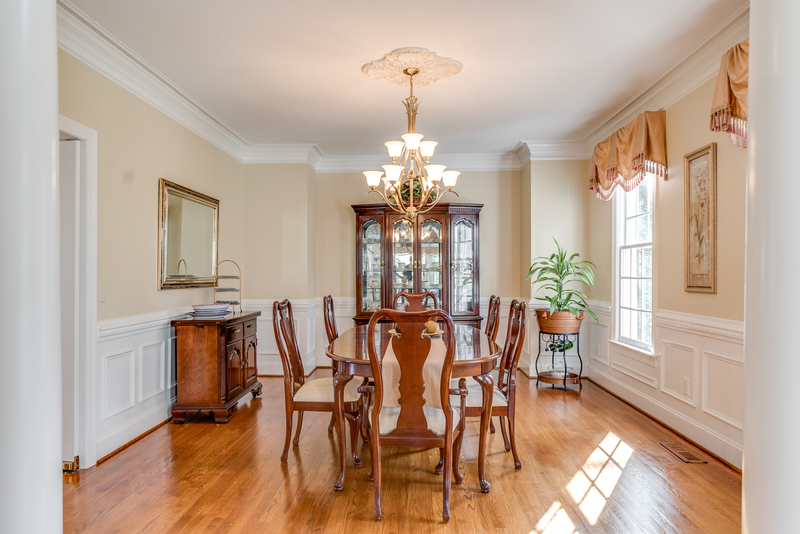 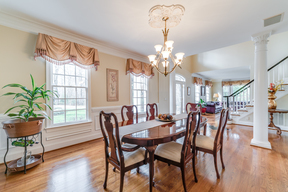 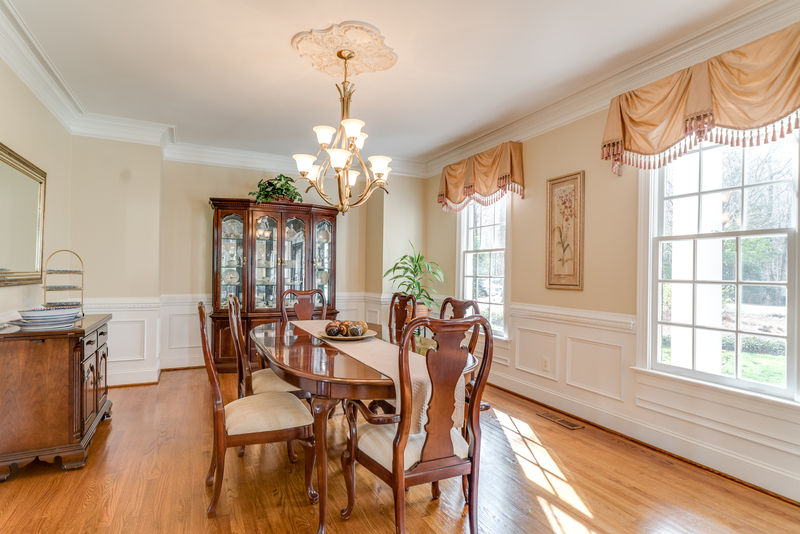 The formal dining room has wood floors, crown molding, chair rail and wainscoting. 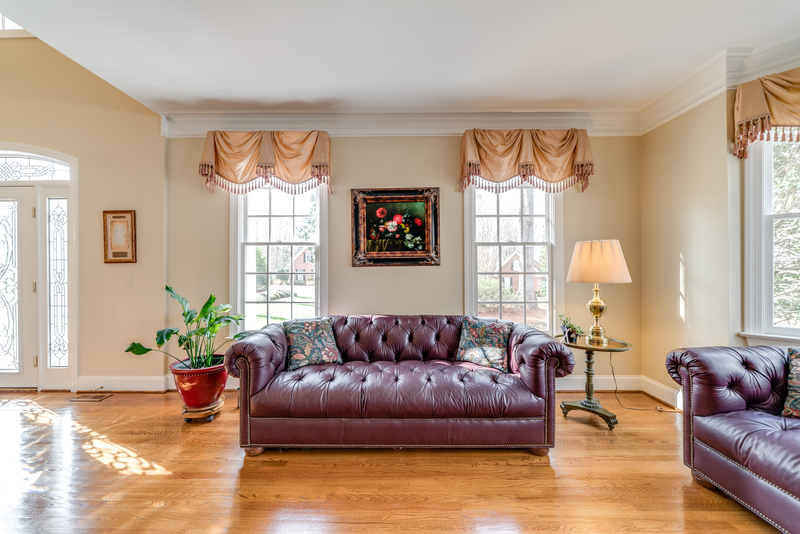 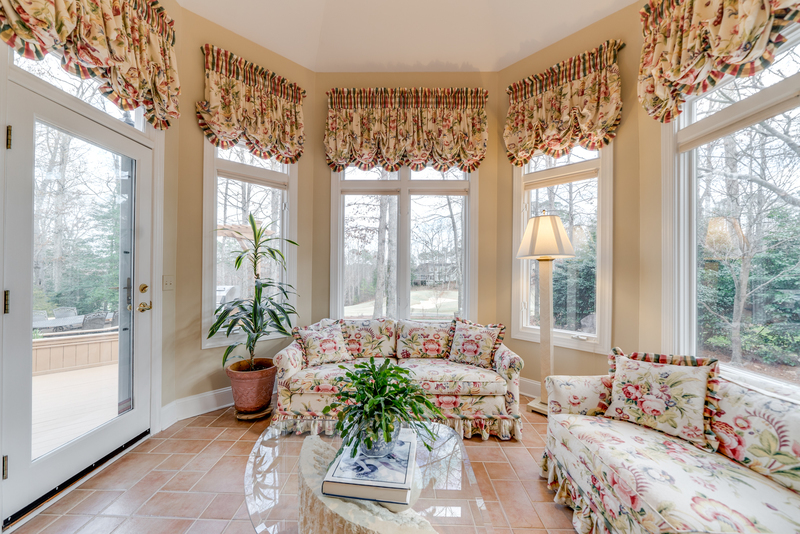 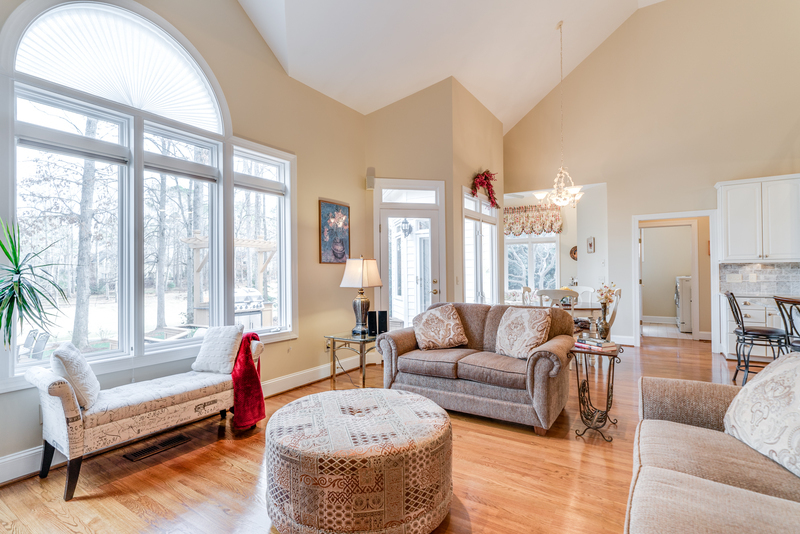 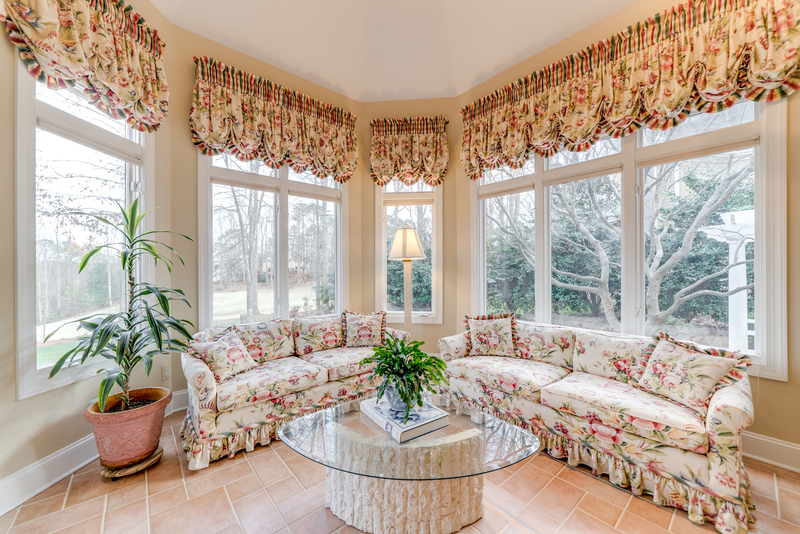 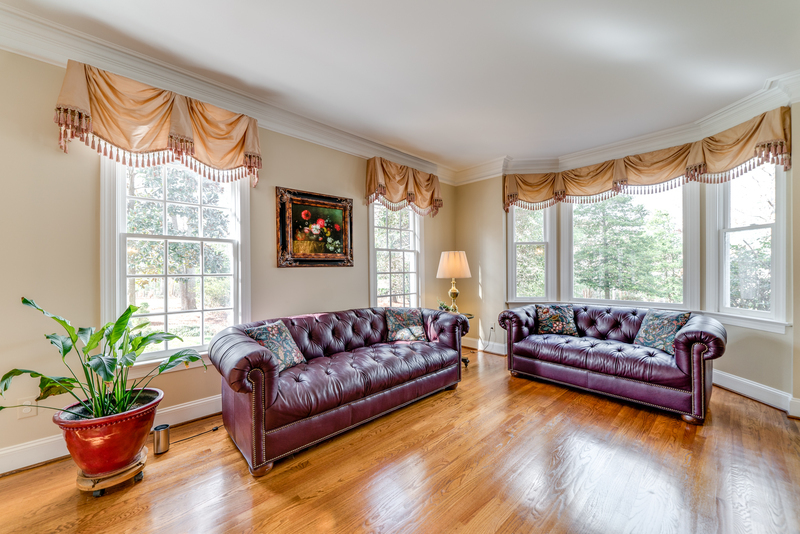 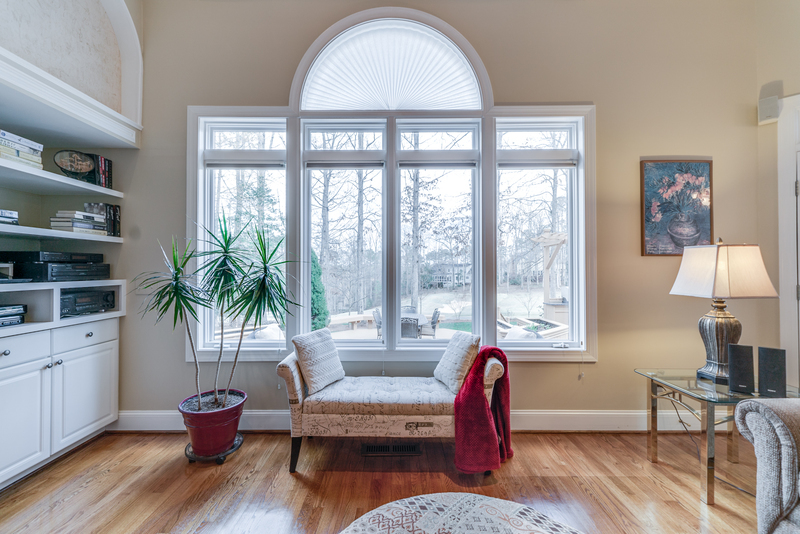 The formal living room has wood floors, crown molding and a bay window. 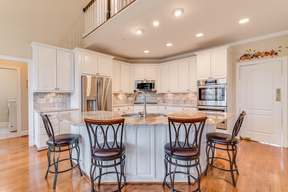 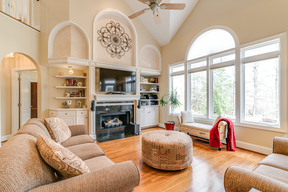 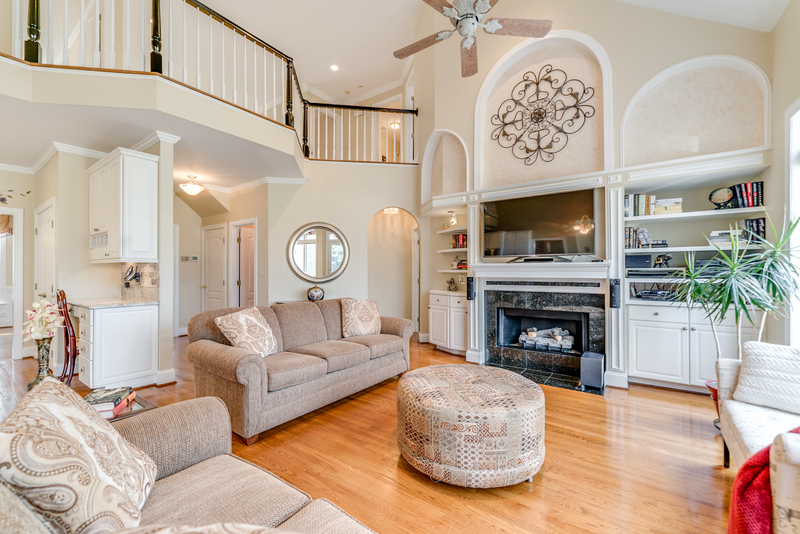 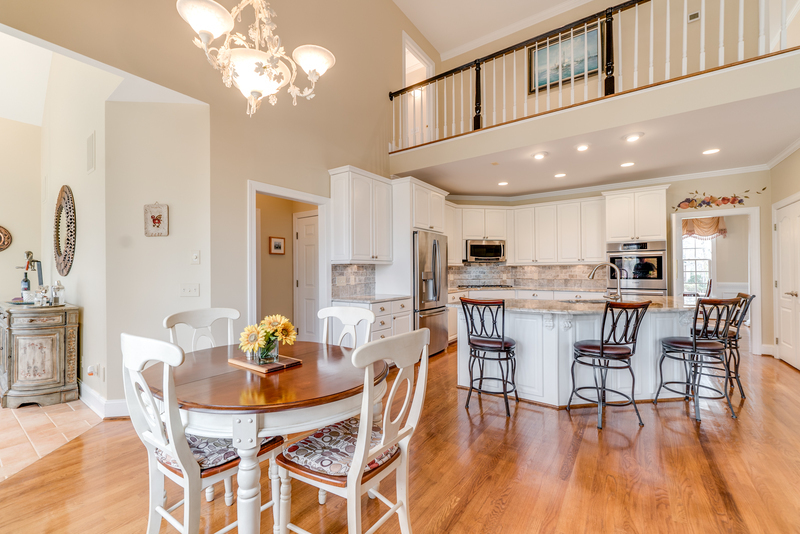 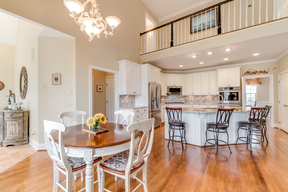 The 2 story family room is open to the kitchen, perfect for entertaining. 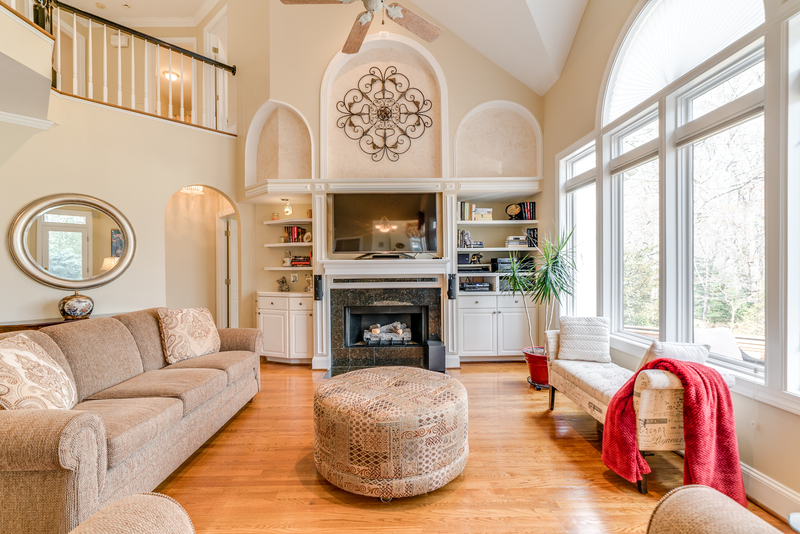 With it's wood floors, gas fireplace and built ins with cabinets, it's sure to please. 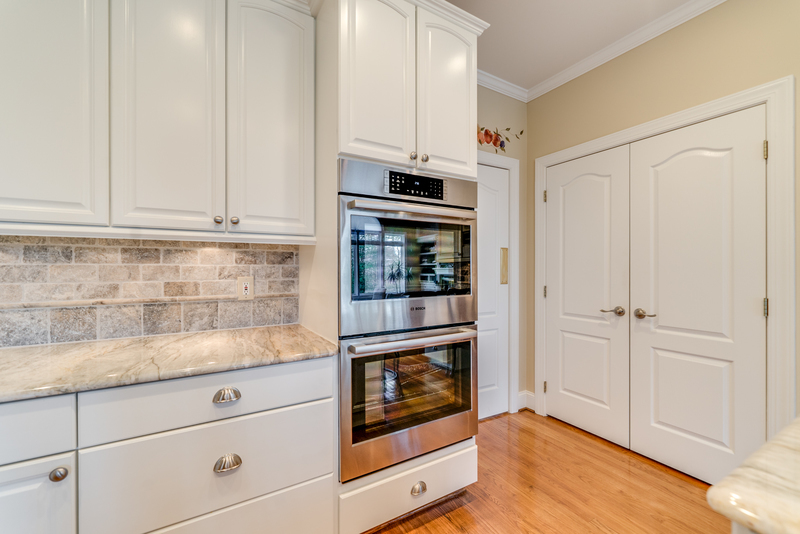 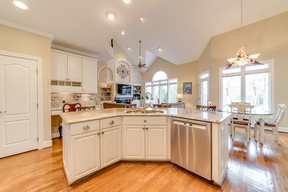 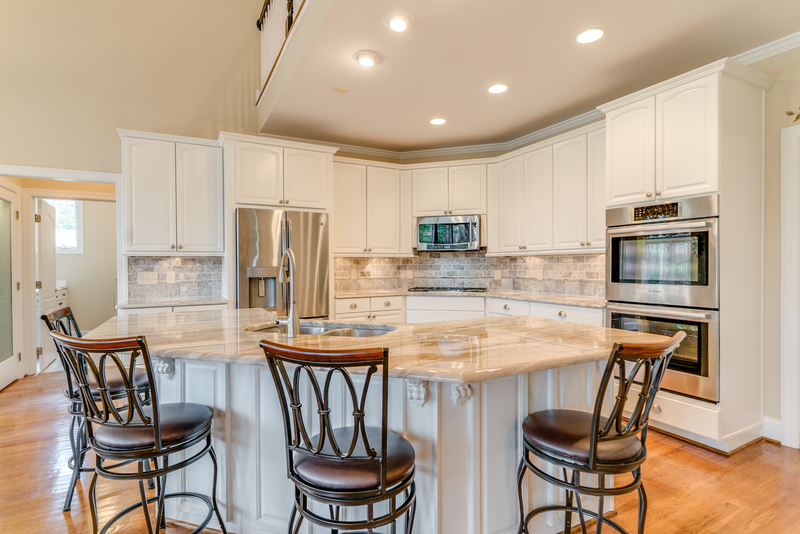 You will LOVE to cook in the spacious island kitchen. 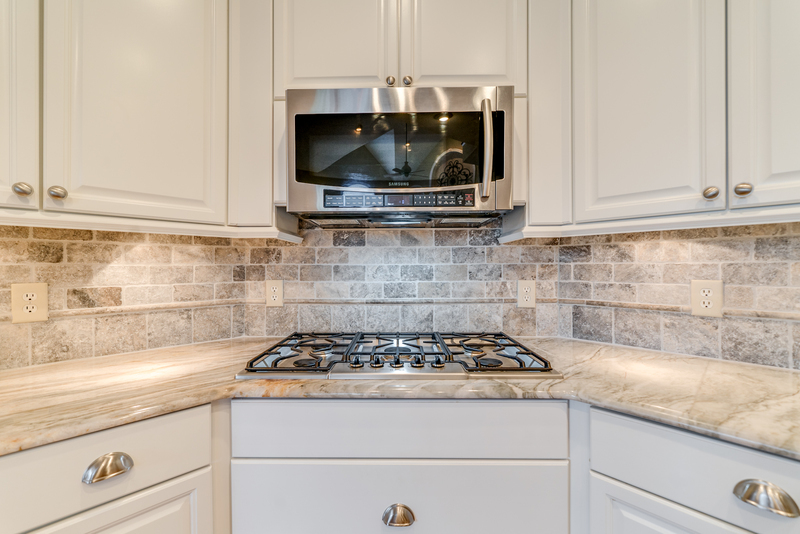 Complete with wood floors, Quartzite counters, NEW Stainless Steel appliances including Refrigerator and 5 burner gas cooktop. Great bar counter, custom tile backsplash and crown molding. Just off the kitchen you will find the light and bright sunroom with tile floor, ceiling fan, amazing view of the golf course & door out to the deck. 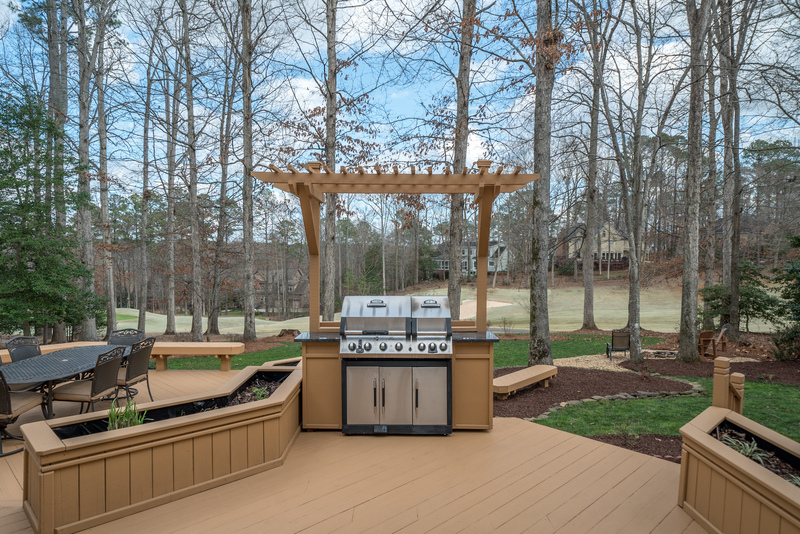 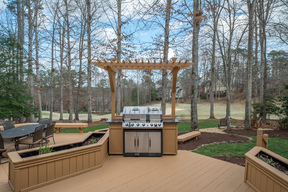 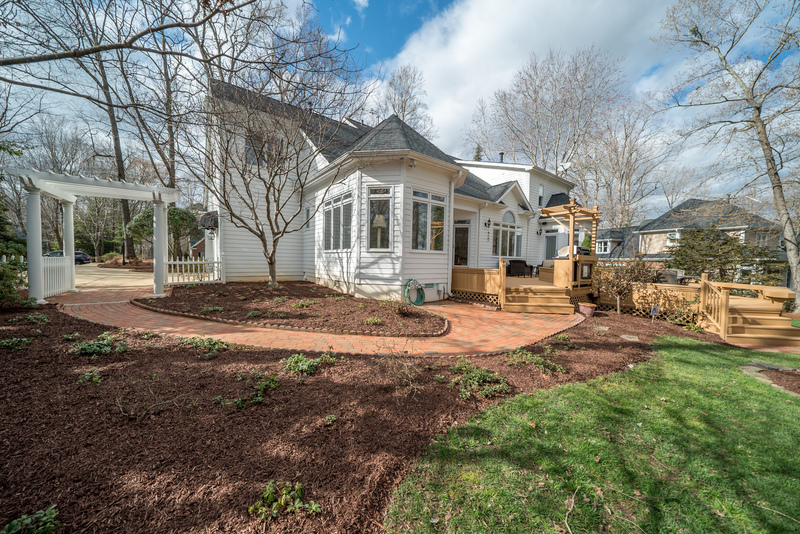 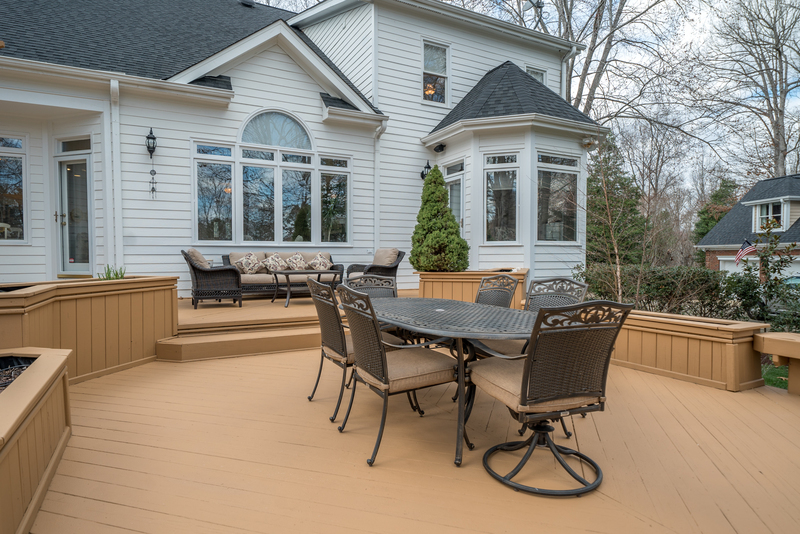 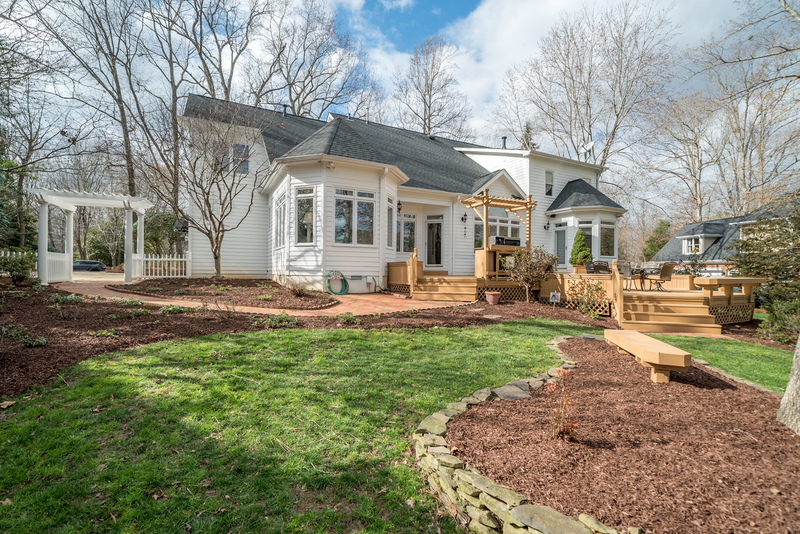 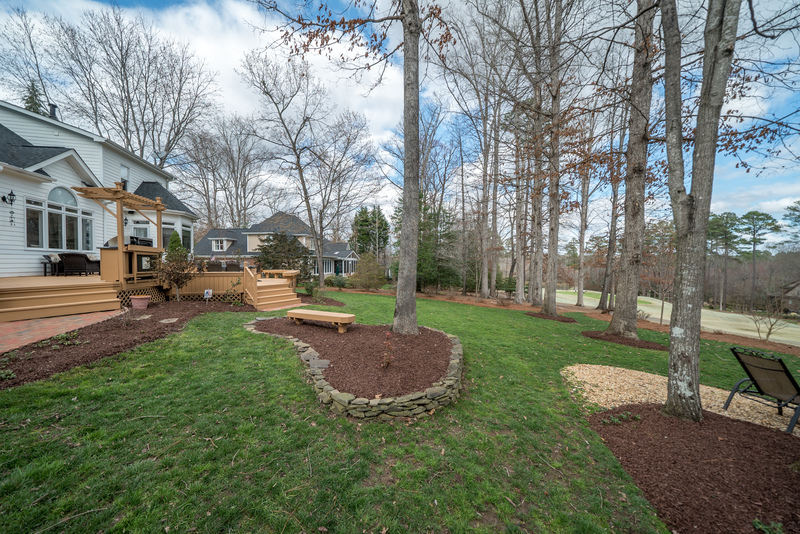 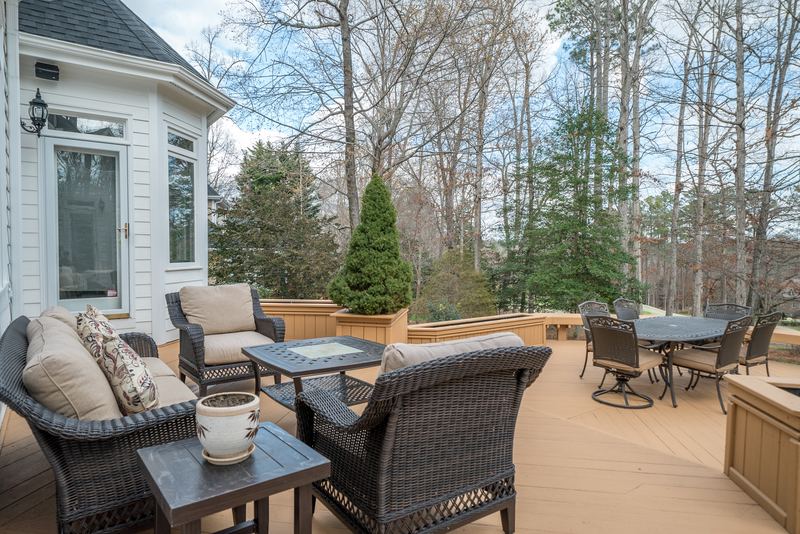 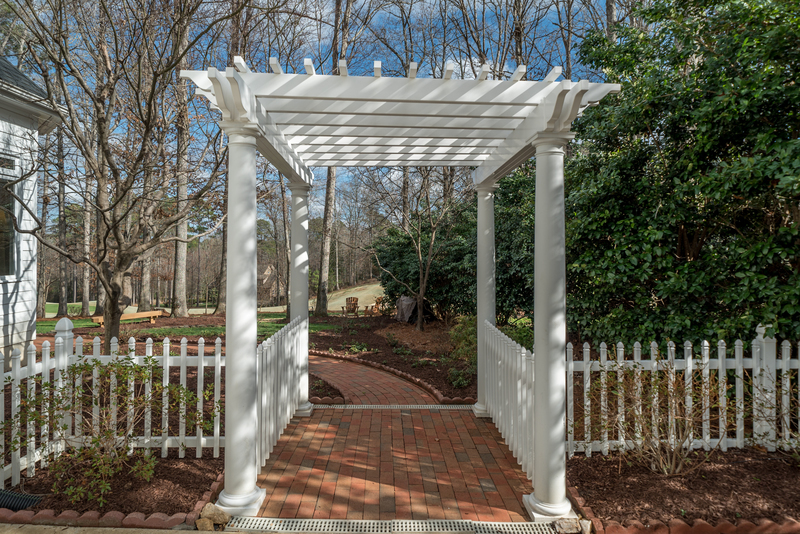 You will LOVE the huge, well maintained double tier deck with planters and built in grill for entertaining. 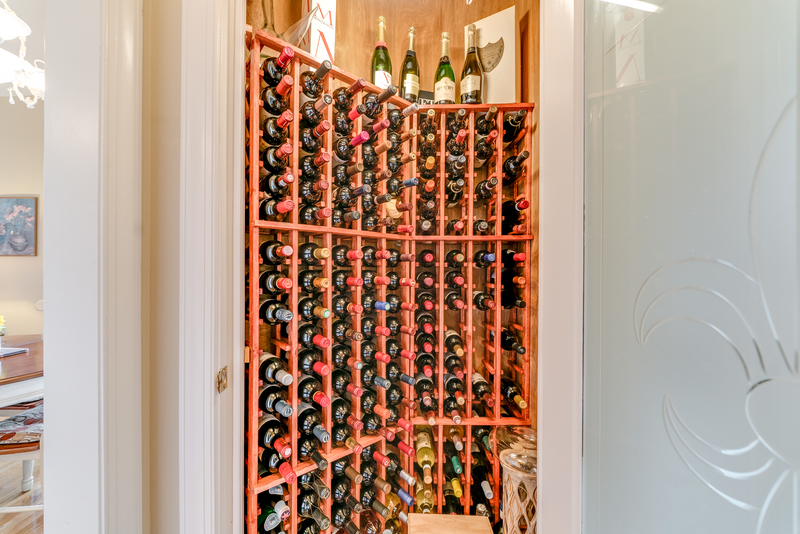 You and your guests will appreciate having your very own wine closet! 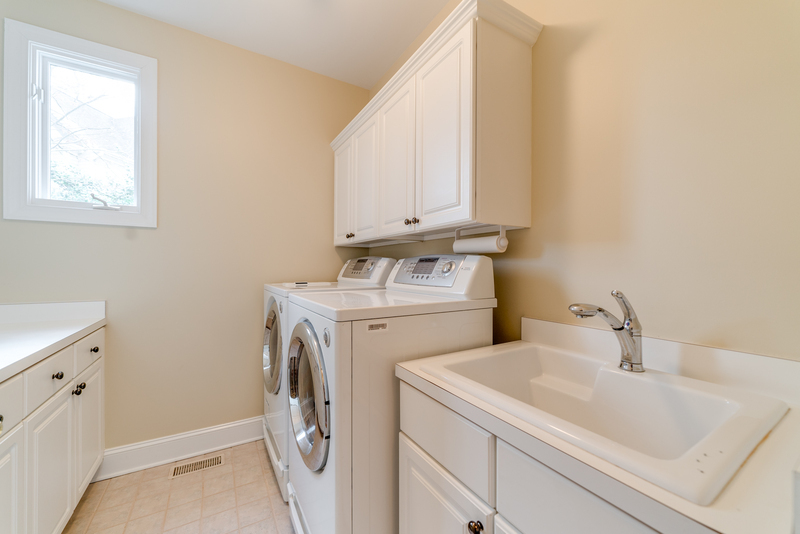 The spacious 1st floor laundry room has tons of storage, tile floor, laundry sink and the LG washer and dryer are included. 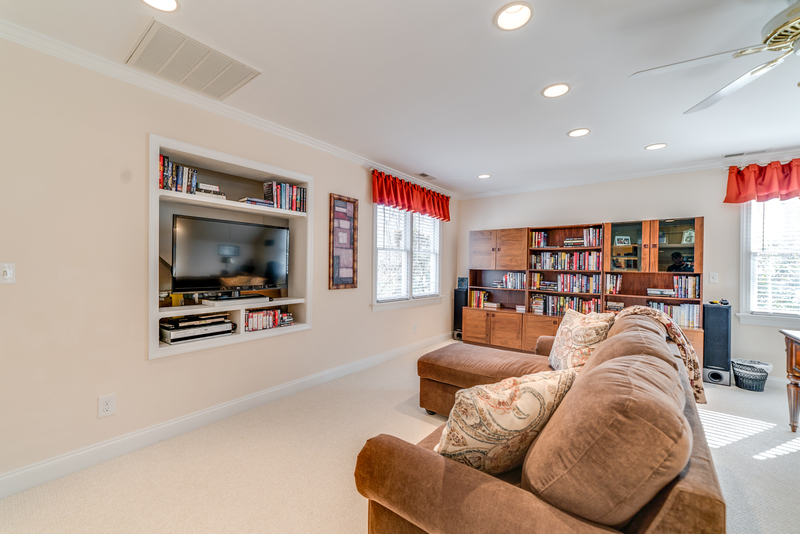 The side entry garage has lots of shelves and storage cabinets that will come in handy! 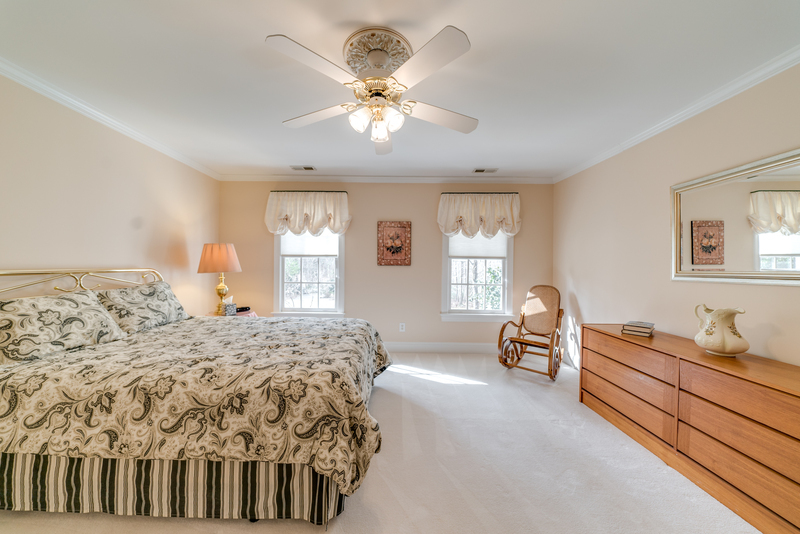 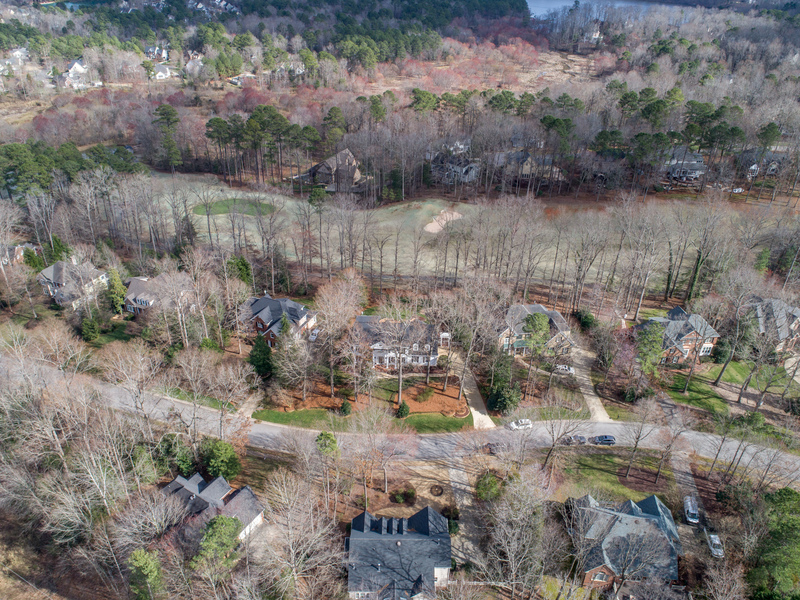 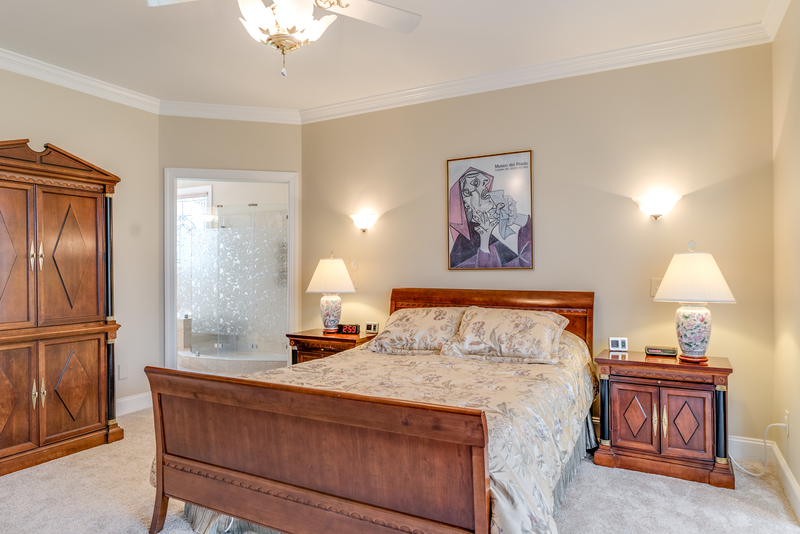 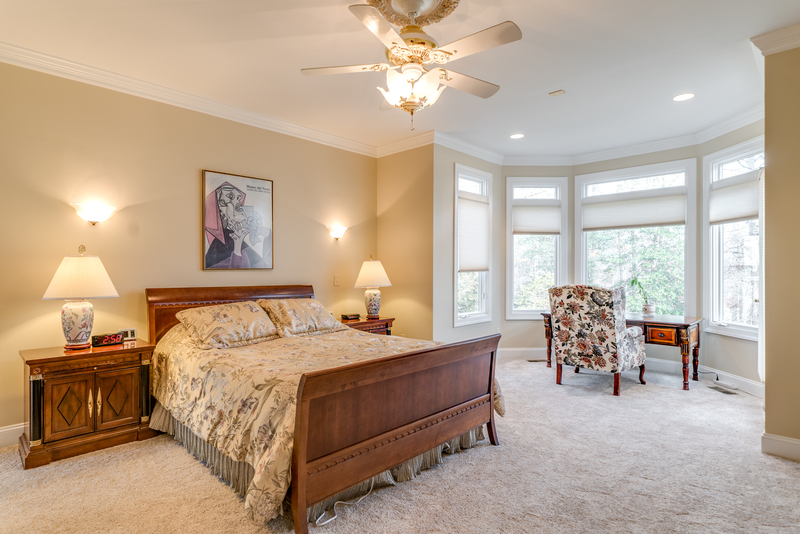 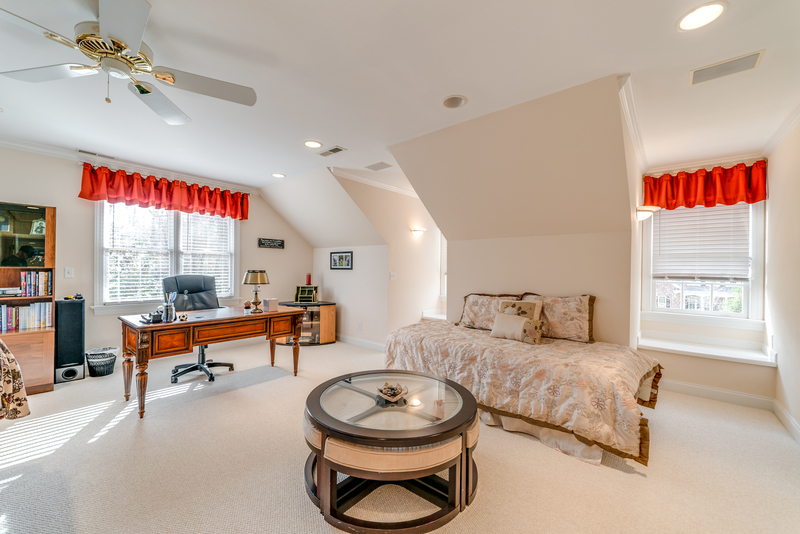 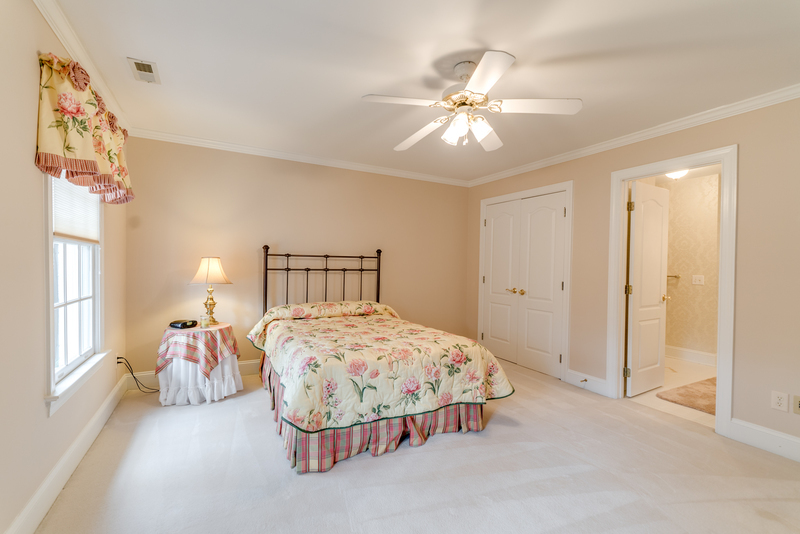 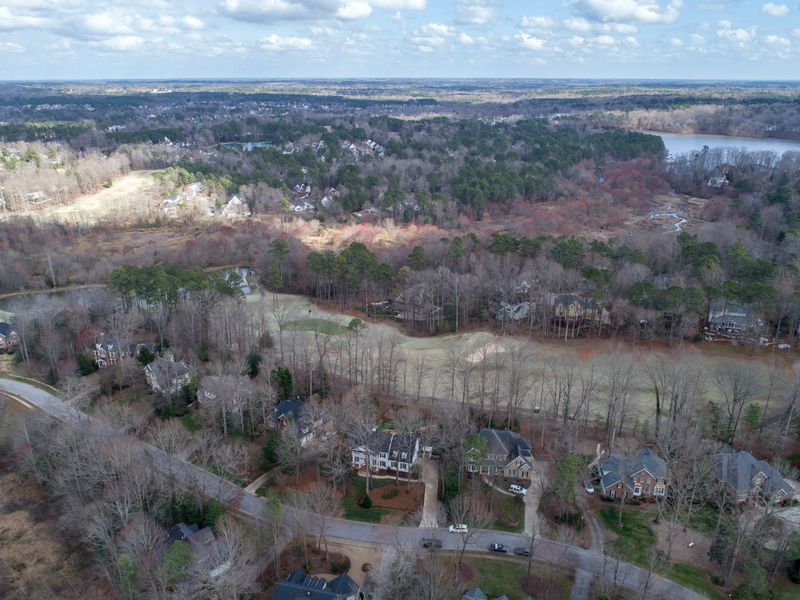 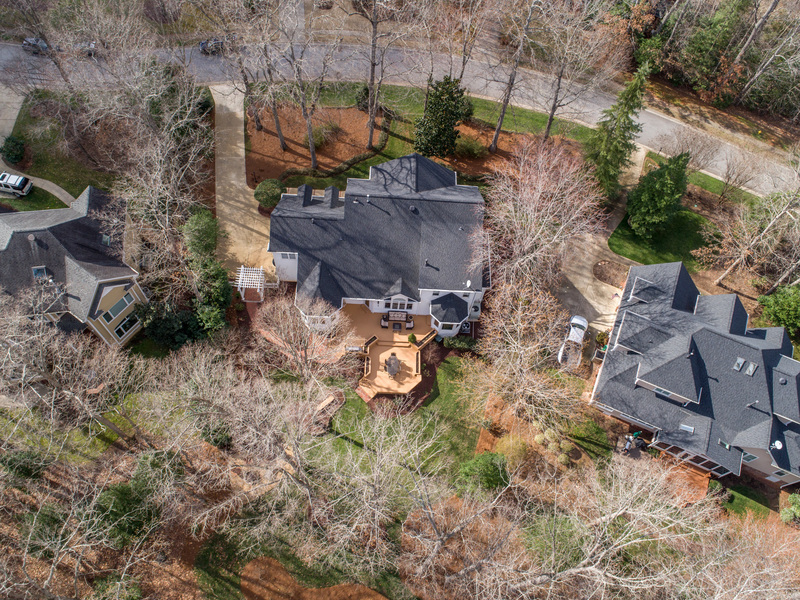 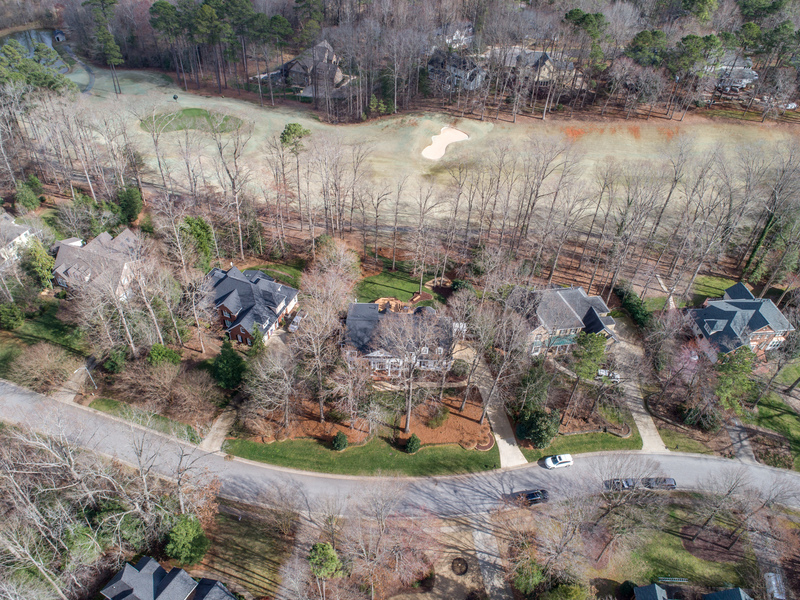 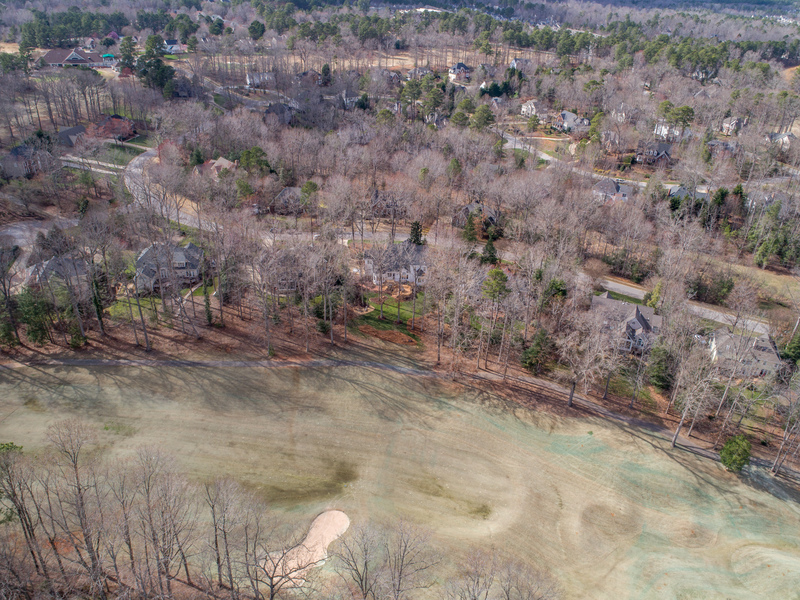 The 1st floor master suite will impress you with it's NEW carpet, crown molding, bay window, ceiling fan, door to back deck and great golf course views! 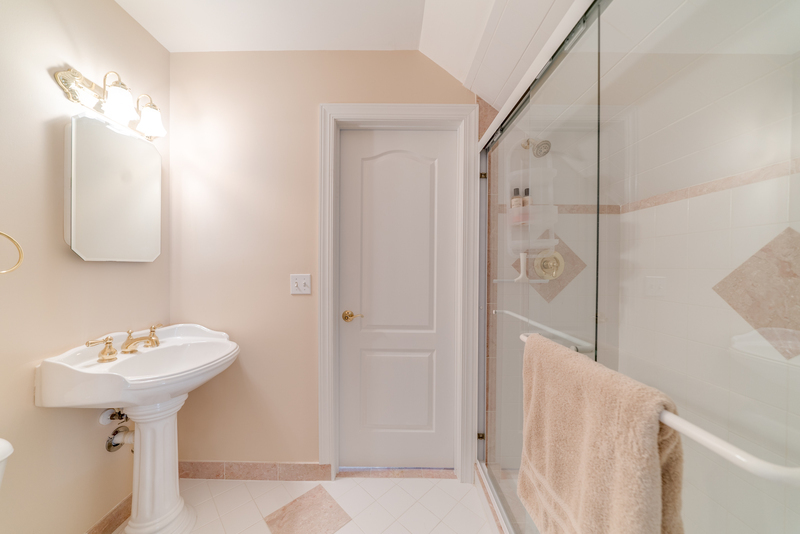 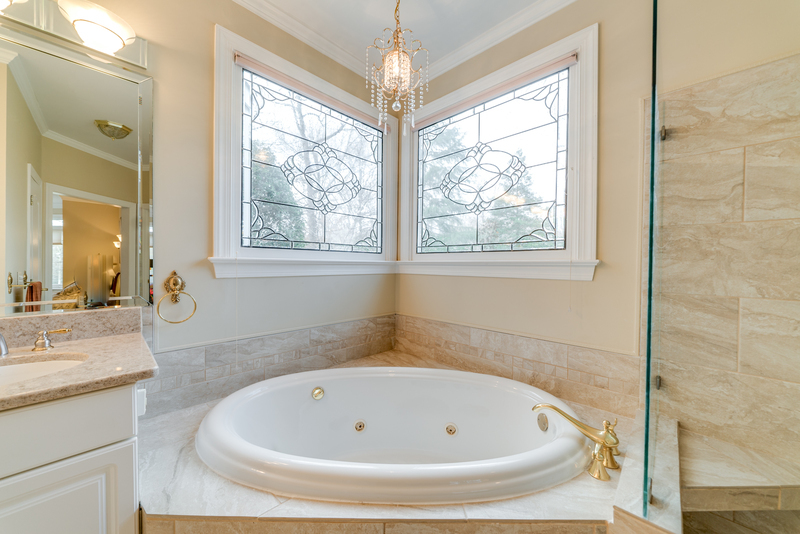 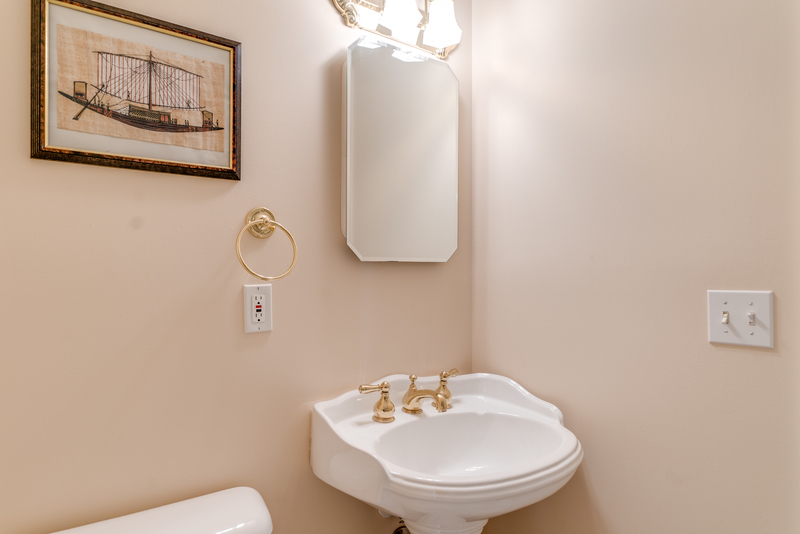 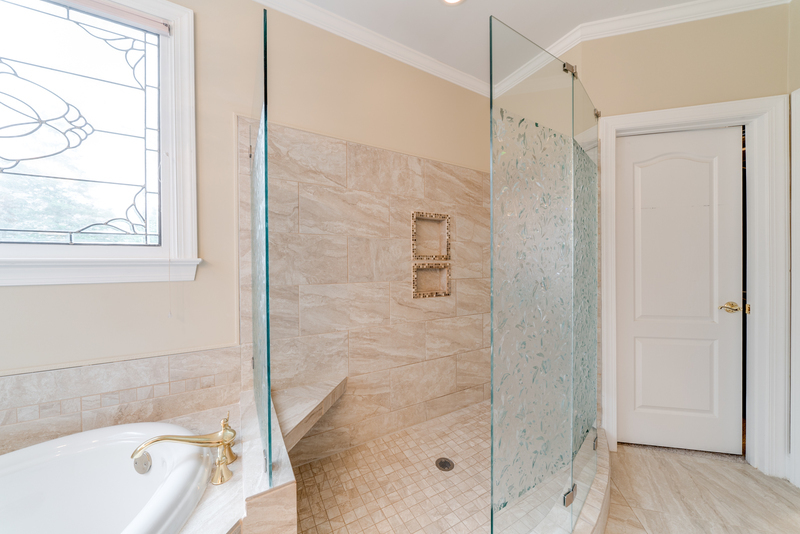 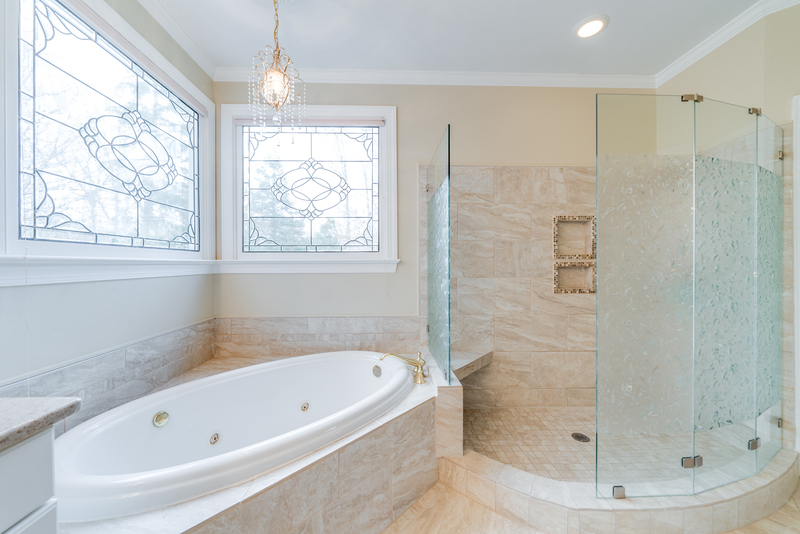 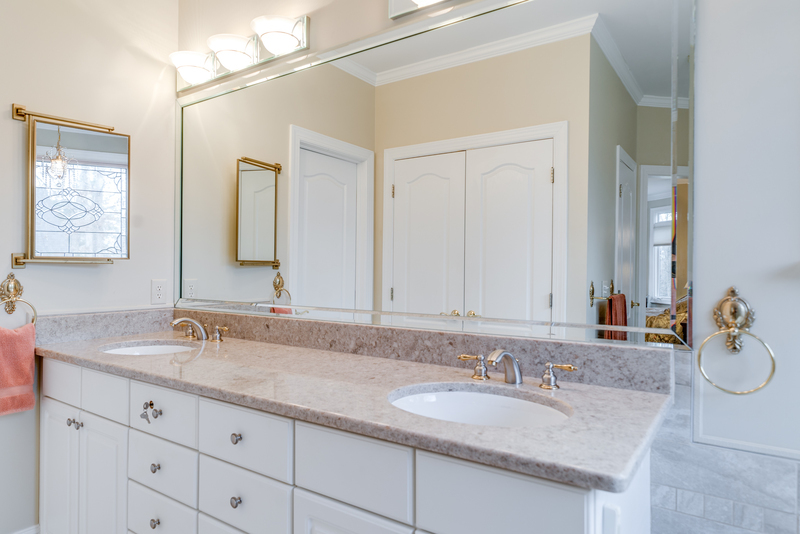 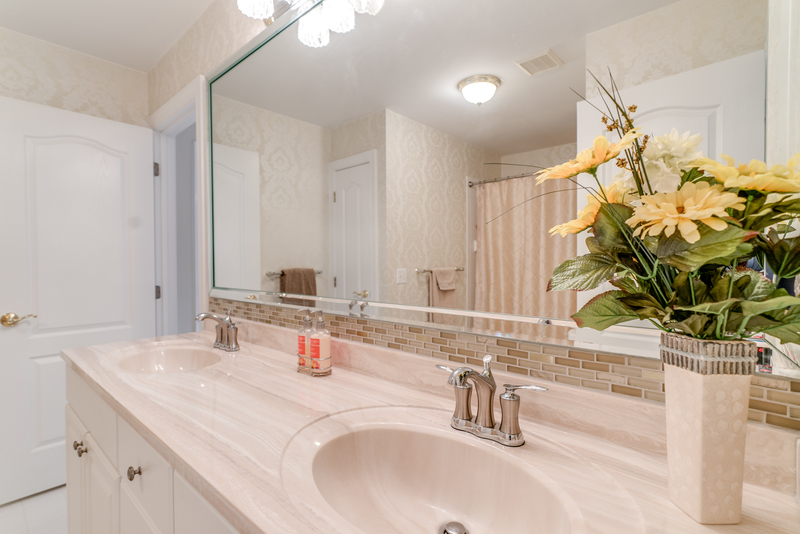 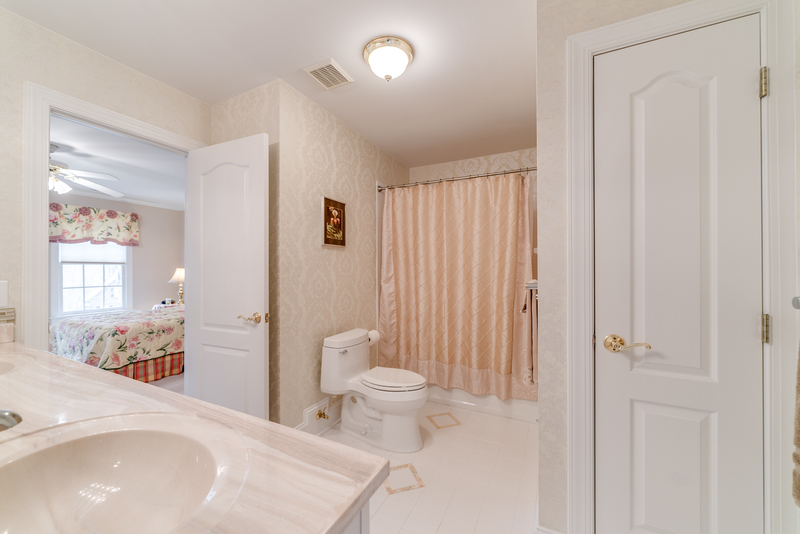 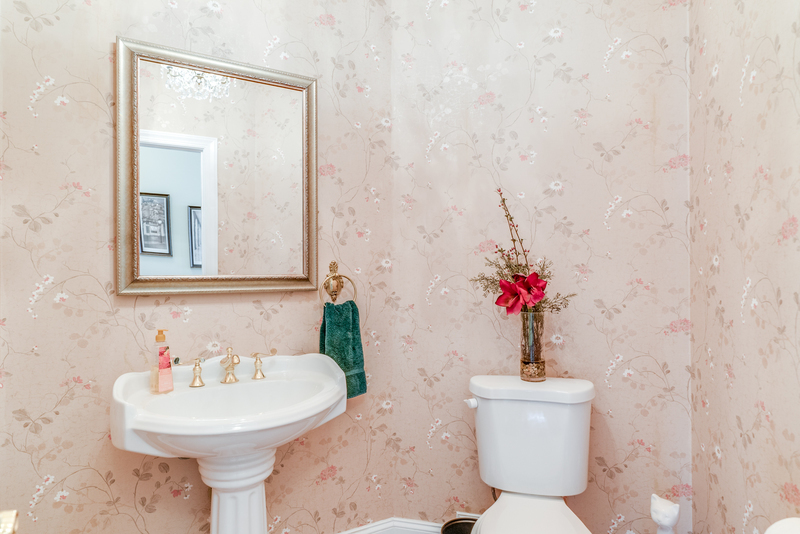 The updated master bath has tile floor, Quartzite counters, jetted tub, custom tile shower with seat and 2 walk in closets. 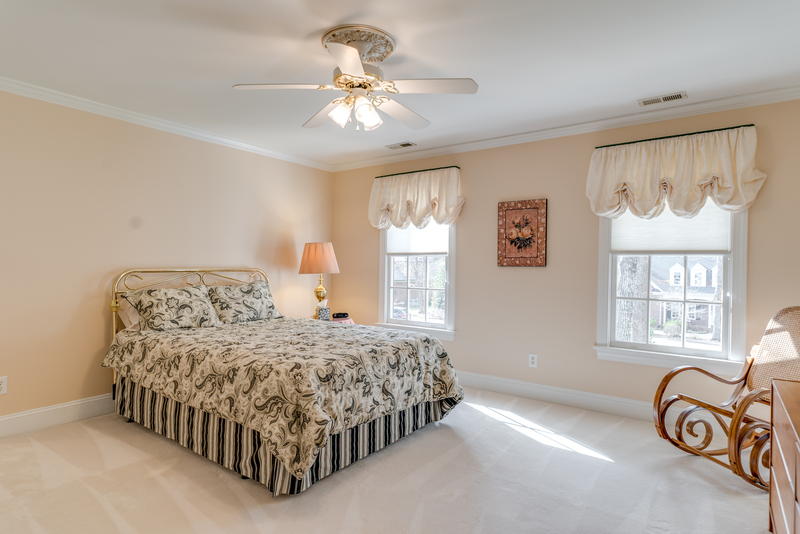 On the 2nd floor you will find 3 spacious secondary bedrooms, all with ceiling fans and 2 full baths. 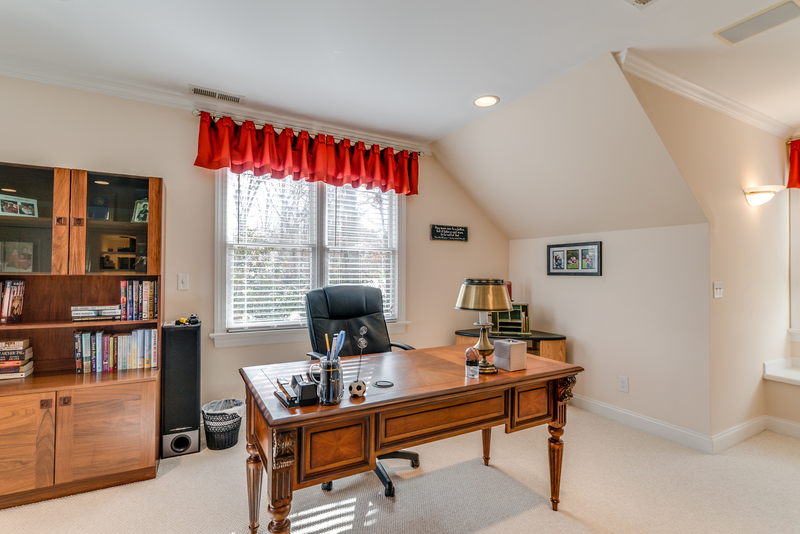 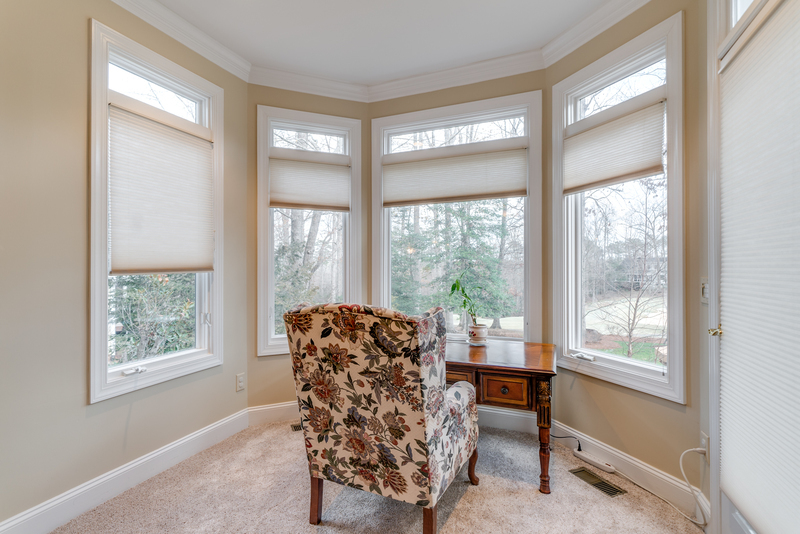 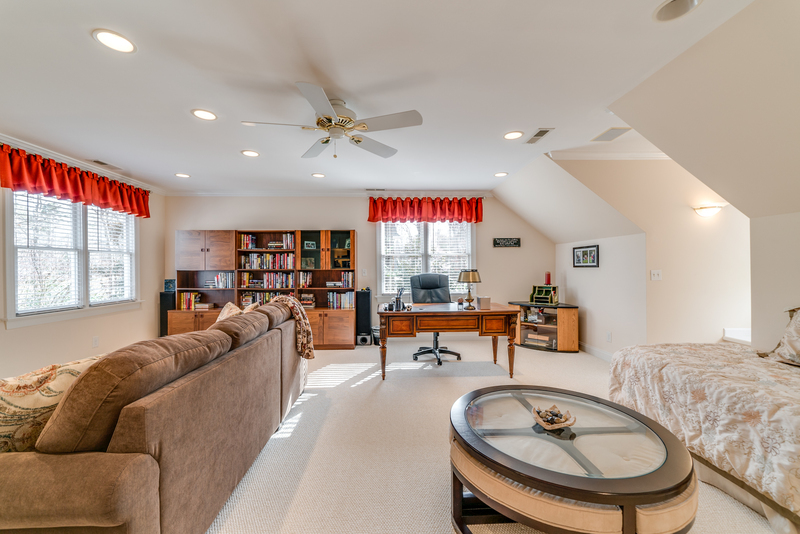 The bonus room has Berber carpet, crown molding, ceiling fan, walk in closet and window seats. 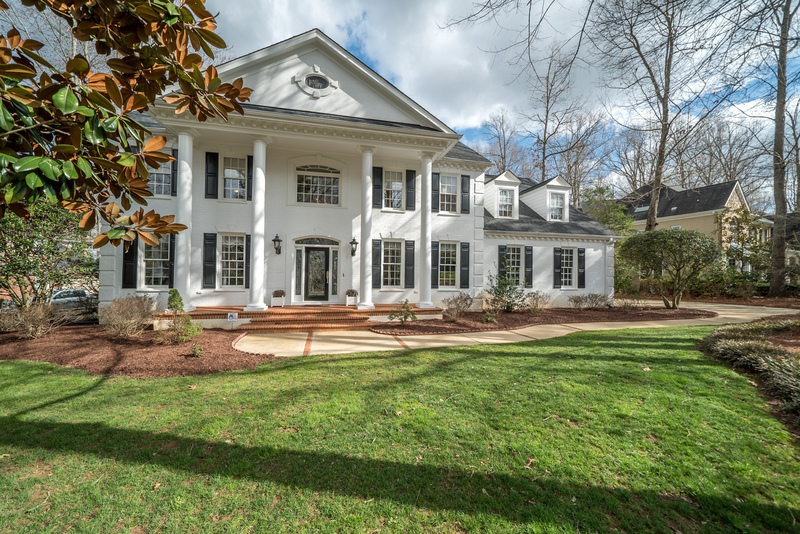 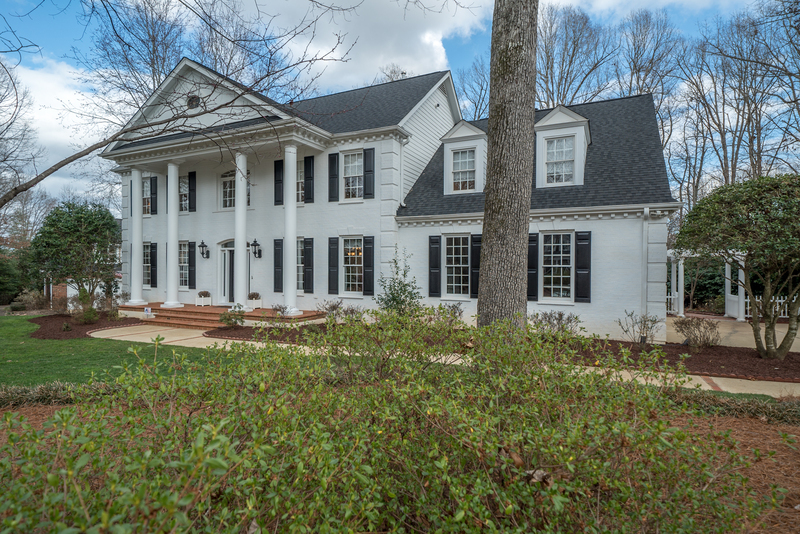 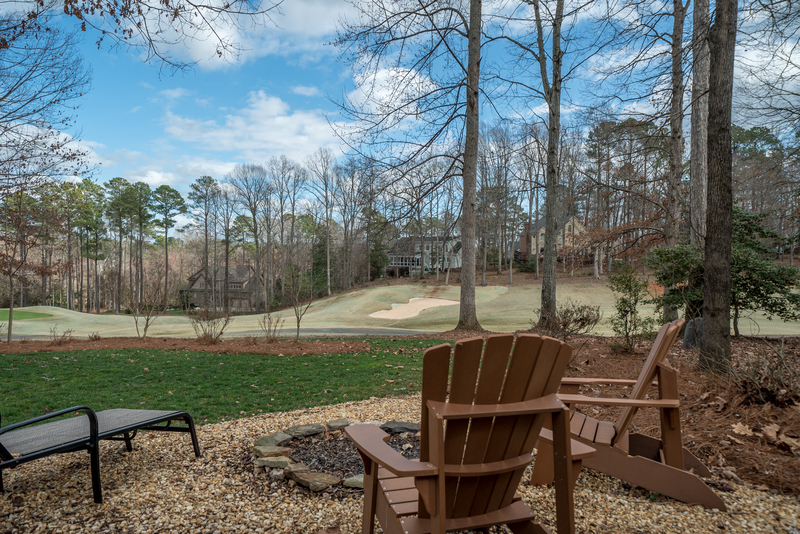 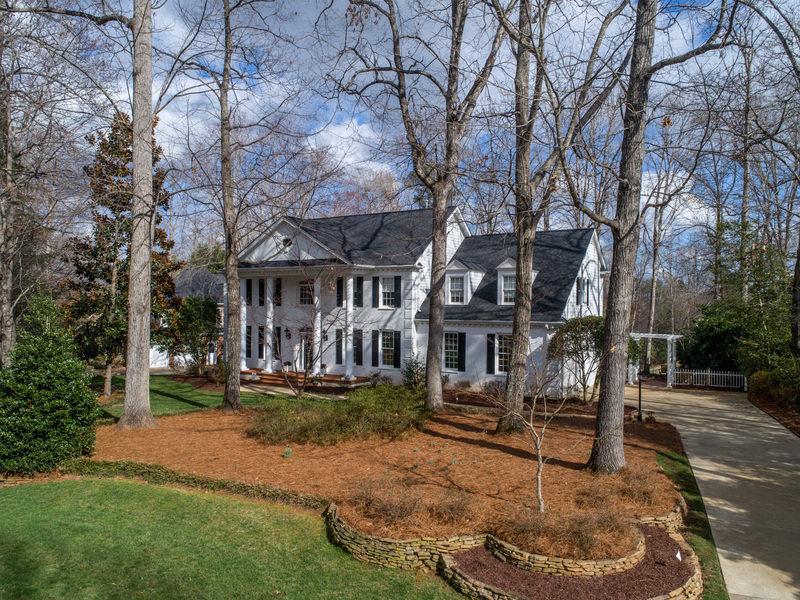 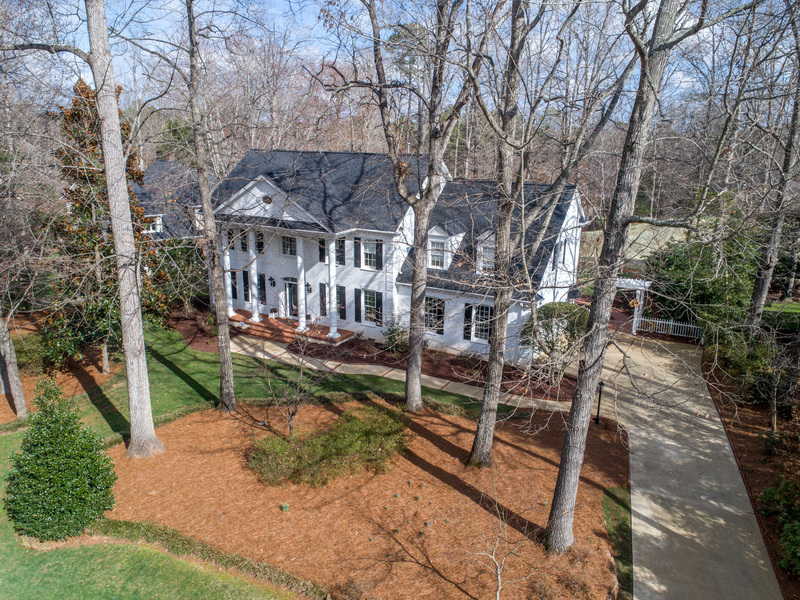 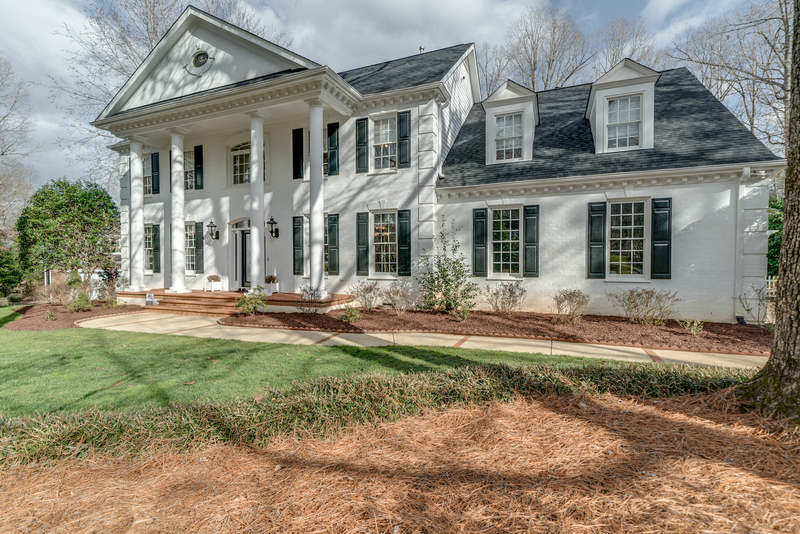 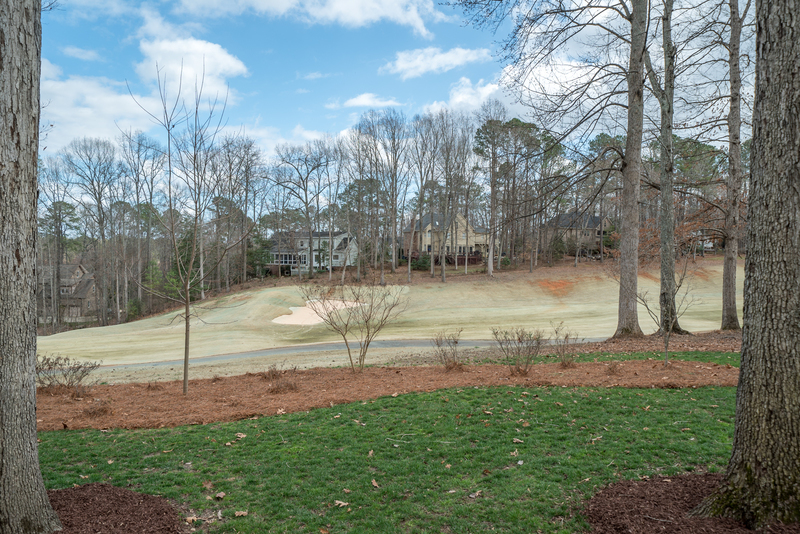 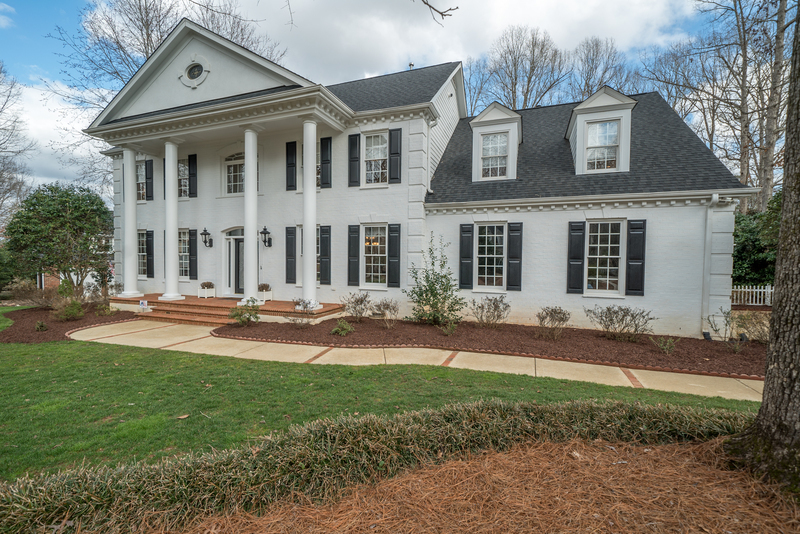 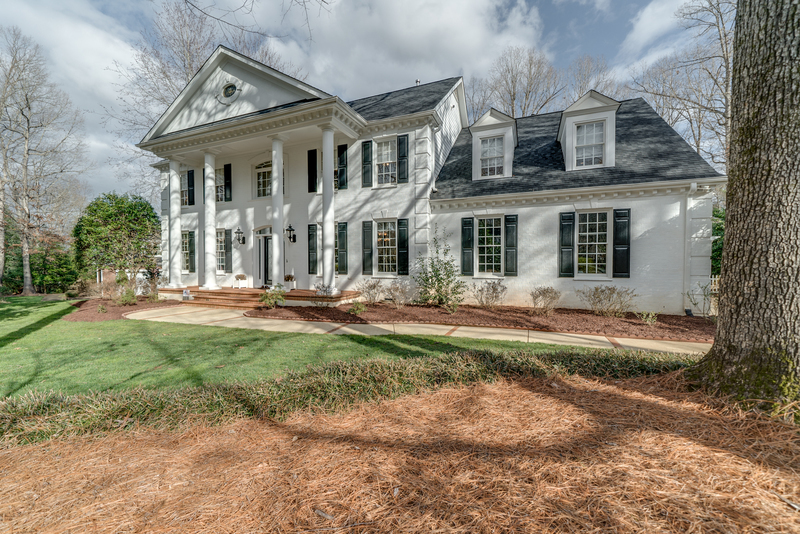 With this home's great curb appeal, newer Roof and HVAC and amazing golf course views, you are sure to LOVE it!